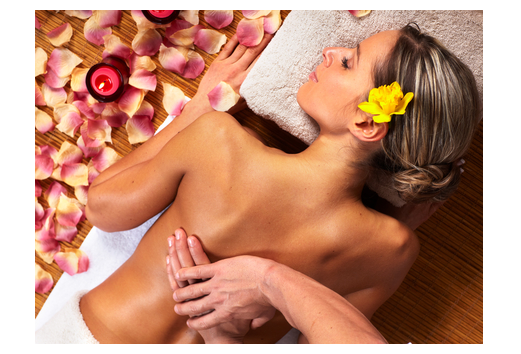 A back facial from The Retreat Spa in New Orleans is a luxurious, exfoliating treatment for your back. The back facial follows the same basic treatment as a traditional facial. It is specifically designed to target the special concerns that often plague the back area. The back area is notoriously hard to reach on your own, and it can often go neglected. This can lead to a build-up of dead dry skin and other toxins that can cause clogged pores and acne. A soothing back facial treatment will help to eliminate all of htese issues for thoroughly cleansed and refreshed skin with a healthy, even skin tone. This treatment is perfect for women as well as men. A mask and a re-hydrating moisturizer will be applied, leaving your skin feeling smooth and revitalized. For anyone suffering from back acne, this is an amazing treatment that will have dramatic results in the appearance of your skin. Make an appointment at our New Orleans salon today!